Most of the time, I buy a stock based on its potential for growth (not because of some tsupitero’s tsismis or whatnot) — ito iyong sinasabi nilang fundamentals. Personally, the granularity of my “long-term” is in the order of years; but that doesn’t mean that I don’t do day trading. As most of you know, I engage in this very exhilarating exercise. This is why I have always found it necessary to open at least two trading accounts. My strategy has always been to maintain some core positions… then top-slice and range trade the “excesses” (for lack of a better term). Sometimes, one just needs to stick to a (dynamic) plan — less worries. It’s all about ranges. 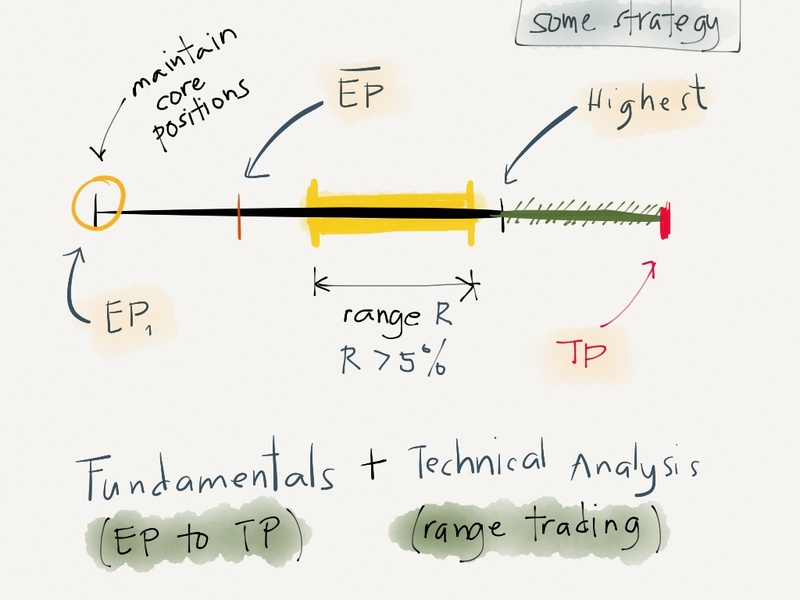 This entry was posted on February 22, 2013 by E in Stock Trading and tagged Range Trading, Stock Trading, Top-Slicing.